Majestic is pretty good at handling domain names. We are able to accurately, and at speed, calculate referring domains, then present this data with one of the lowest latencies across any of the “Big 3” backlink indexes (Majestic, Moz, and Ahrefs). When we’re asked why we haven’t updated our parsing to include parsing for the Mozilla list, our answer is; we have tried, but found that our Historic Index is too huge!!! To fully address this, we face either significant costs (to build a new, parallel, Historic Index), or a significant delay in Historic Index turn-around time. These solutions are very painful, in their own ways. We do have a roadmap to resolve this issue, but it’s still some way off, so we wanted to find a quick way to address at least some of the problem. 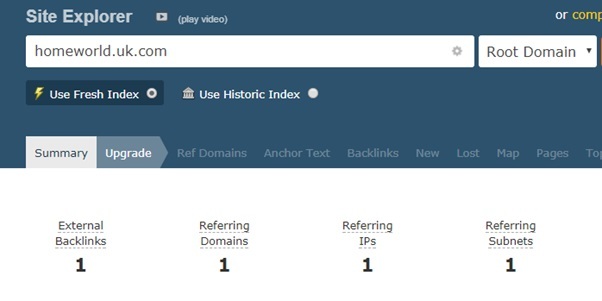 Alex came up with a great idea to lever the redirect logic (see https://blog.majestic.com/development/301-redirect/ ) to solve the first of our two issues, where we try to better show existing links to troubled domains.